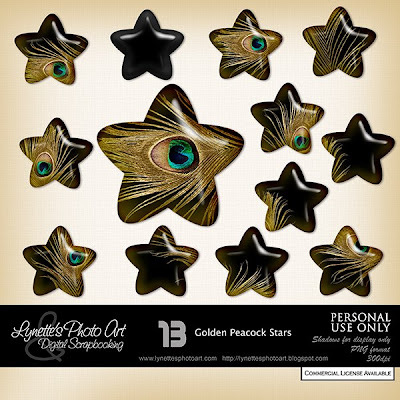 There are 13 chubby and luscious stars in the Golden Peacock Stars Kit for $1.99 at my PayPal store. Click the image to enlarge. Buy It Now button below. Today I'm giving you a star to sample. Thanks, Lynette. 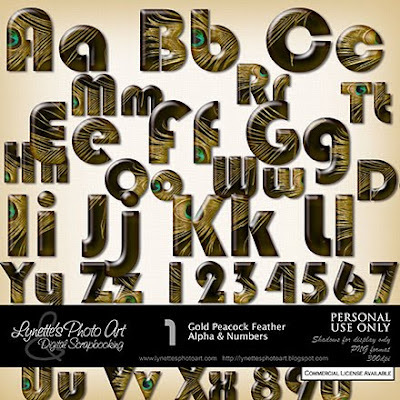 Love the peacock feathers! Blessings to you for your generosity!